Retailers reportedly ripped off panic-stricken consumers by arbitrarily hiking the cost of basic commodities despite getting supplies from manufacturers at normal prices. Moreover, tariffs for major cost drivers in industry - fuel and electricity - remained stable. Last week, many retailers increased prices of goods after unprecedented trading of the bond note against the United States dollar on the black market. Some business placed mark-ups of more than 400 percent, while others demanded payments in foreign currency. However, the Retailers Association of Zimbabwe says locally produced commodities occupy 62 percent of supermarket shop shelf space. Oil Expressers Association of Zimbabwe chairperson Mr Busisa Moyo, who is the CEO of United Refineries Limited, said it was baffling to see a 2-litre of cooking oil going for as much as $15. "All members of the Oil Expressers Association of Zimbabwe are selling at prices between $3,15 to $3,50 and have recommended selling prices of between $3,70 to $3,99. "We are in a multi-currency system and the Government has assured parity, so customers can settle in any form allowed under the multi-currency system," said Mr Moyo. Although the sector was not operating optimally, it was capable of supplying the market, he said. Cooking oil producers, he added, were blindsided by "the surge in demand driven by arbitrage and speculative behaviour". Sugar was also targeted for predatory prices by opportunistic retailers, with some retailers selling a 2kg pack for $5. In a statement last week, the Zimbabwe Sugar Industry called unscrupulous retailers to order. Opportunists in the beef sector also took advantage to charge extortionate prices. It was the same for cement as some shops upwardly reviewed prices. PPC Zimbabwe MD Mr Kelibone Masiyane said the company had not changed prices since April 2012, and had been getting tremendous support from Government. "We haven't increased our pricing, which still remains the same as before and at the moment obviously, with the support of Government, there is no intention of adjusting that and we urge all our customers to resist these high prices because we do have some of our recommended retailers that are actually selling at recommended retail prices," he said. Sino-Zimbabwe Cement Company, which controls a quarter of the cement market, insisted supply was normal and old prices. The company said it was producing three types of cement whose prices ranged from $7 to $11 per 50kg bag, payable via any legal tender. Confederation of Zimbabwe Industries president Mr Sifelani Jabangwe said the price increases by retailers were unwarranted. "Especially (for) basic commodities, the prices should not have gone up because the producers have not increased their prices. We are actually engaging with (the Reserve Bank of Zimbabwe) for continued support," he said. 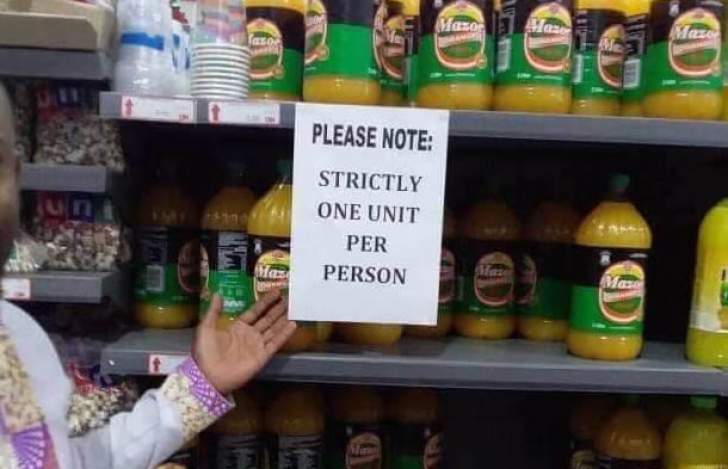 But Confederation of Zimbabwe Retailers president Mr Denford Mutashu said they were not to blame for price increases. "Most of the price madness is in the informal sector, most of the informal traders have taken advantage of the shortages on the market to increase prices and if you check with most big formal retailers and wholesalers, they have maintained their mark-ups," said Mr Mutashu. "They have not taken advantage of the prevailing situation and are actually taking their goods out to the market at normal prices, so as long as a manufacturer or supplier has not increased prices, retailers and wholesalers are urged to maintain normal pricing." Mr Mutashu urged manufacturers and suppliers to keep supply lines open to avoid artificial shortages "which most people would take advantage of, hence the arbitrage activities that you would see arising from speculative tendencies".